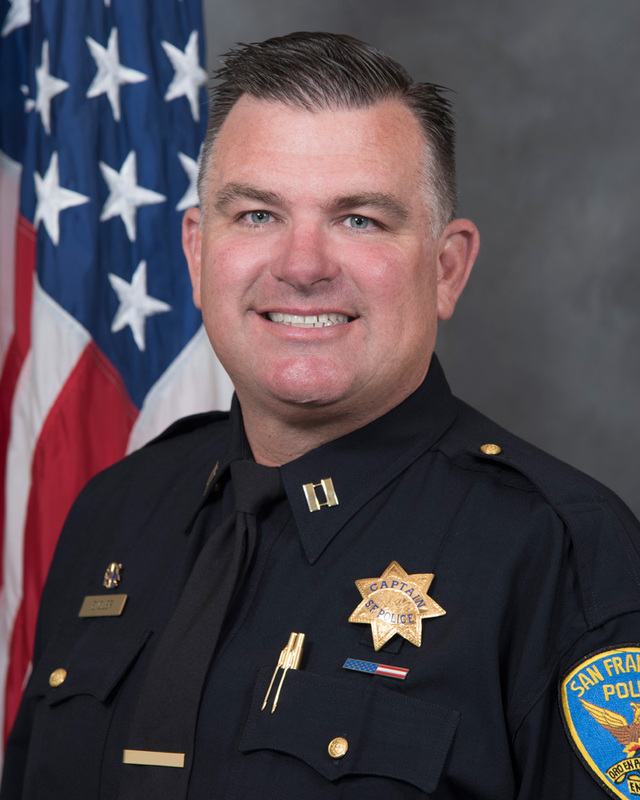 The new commanding officer at SFPD’s Northern Station, Captain Joseph Engler, is a fifth-generation San Franciscan and a fourth-generation cop who has known the neighborhood since day one. He was born at Presbyterian Hospital on Webster, now California Pacific Medical Center. His first job was as a business banker at Wells Fargo’s Fillmore branch. And today, after 25 years on the force, he’s at the helm of the 140-person Northern Station, policing an area with the second highest felony crime rate in the city. Engler has jumped right in. He says he’s been meeting with two or three community groups a day. “I love the level of engagement that our community brings with it,” he says. The Sterling Bank branch at Fillmore and Bush. Sterling Bank at 1900 Fillmore was the target of an alarming, if ultimately unsuccessful, robbery attempt on January 16. It happened at 4:50 p.m., just before closing time. In accordance with bank instructions, “I complied,” said a clearly shaken Rensch. He said the man was in the bank for a tense three minutes before he fled with the cash. Rensch called 911, and two plainclothes policemen, along with beat cop Gordon Wong, were nearby. The plainclothes officers chased the suspect up Bush Street and caught him just past Webster. The apprehension was witnessed by the bank’s neighbor, HiHo Silver shop owner Victoria Dunham, who was leaving her flat as the arrest unfolded outside her front door. Police dispatch had given the officers a description of the man, but during his short flight he had managed to shed his clothes and don new ones. Although the suspect was arrested, the police investigation is still ongoing and the FBI is now involved. 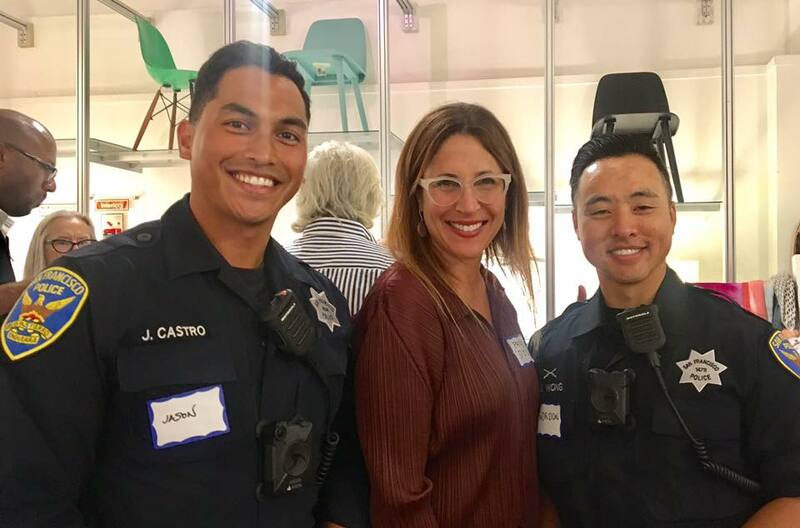 Officers Jason Castro (left) and Gordon Wong (right) with Dosa owner Emily Mitra. AFTER REPORTS OF an increasing number of grab-and-run thefts — and calls for help — from Fillmore’s fashion boutiques and other shops, the SFPD debuted a two-officer uniformed foot patrol on September 9. 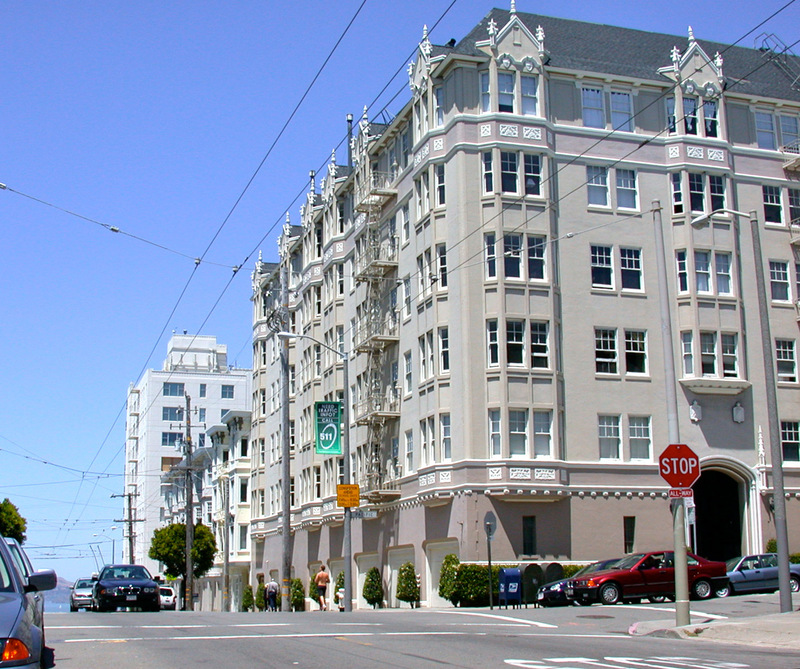 Known as “Beat 44,” it stretches from Geary Boulevard north to Jackson Street. Officers Gordon Wong and Jason Castro will walk the beat from 11 a.m. to 9 p.m.
Maybe I loved my car too much? I had heard a big crash at around 3 a.m., then a car alarm going off — typical Bush Street sounds. 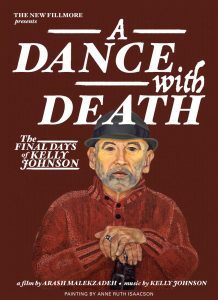 But then the downstairs door opened and closed, which was only slightly odd because Uncle Andy was here and I knew he heard the same sound that woke me up — and being the car guy he is, it would not be out of the realm of possibility that he might go out to investigate things, even though it was 3 in the morning. But it wasn’t just any car the jerk hit. It was my car. After sideswiping the car parked behind me, the driver hit the back of my car dead-on without braking. Andy figures he was going around 40 to 50 miles an hour. The attack occurred on the sixth floor of the apartment building at Fillmore and Pacific. 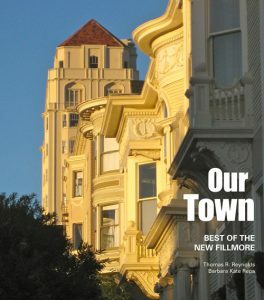 A federal appellate court has denied the latest challenge to a second-degree murder conviction in a case that rocked the neighborhood 15 years ago when a horrific attack by two large dogs in a Pacific Avenue apartment building left one local resident dead and landed two others in prison. 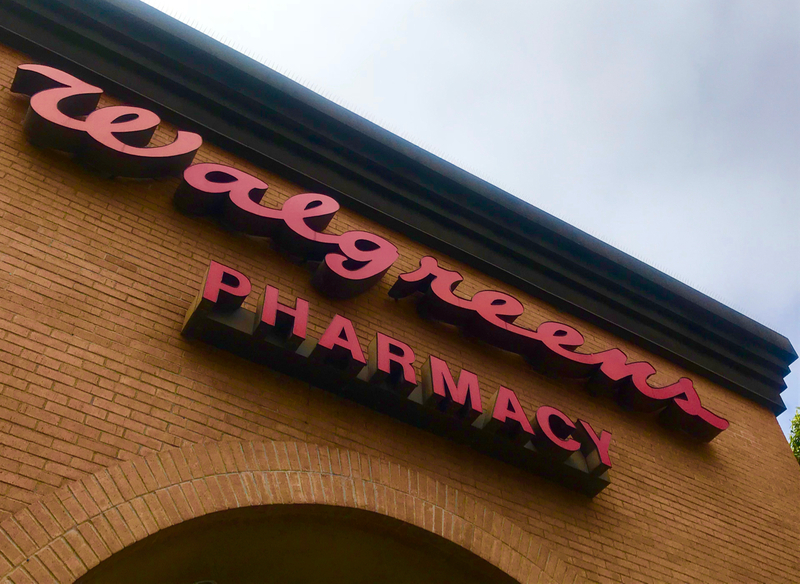 A three-judge panel of the U.S. Court of Appeals for the Ninth Circuit on February 3 affirmed a lower federal court’s denial of habeas corpus relief for Marjorie Knoller, a former neighborhood resident. 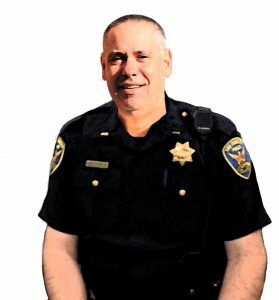 Lt. Ed Del Carlo, all 6 feet 6 inches of him, rises out of his chair in a gritty windowless office inside the fortress-like Northern Station on Fillmore Street and extends a welcoming hand the size of a catcher’s mitt. In his other hand are 32 police reports from the day before. 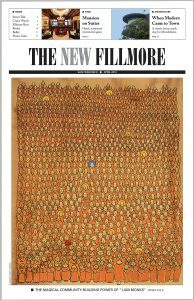 The 25-year veteran of the San Francisco Police Department doesn’t try to whitewash the situation: Crime is mushrooming citywide — and it’s worse in the Fillmore. The neighborhood crime surge is affecting both residents and retailers, and criminals are more brazen. 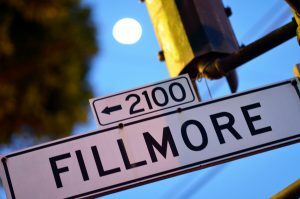 This year, thieves drove a stolen car through the front glass door of the Marc Jacobs fashion boutique at Fillmore and Sacramento around 4 a.m., looted its merchandise and were gone in an estimated five minutes. And twice this year, the glass door of the MAC makeup shop on Fillmore near Pine was shattered in the early morning hours and the shelves were cleaned of expensive skin creams. 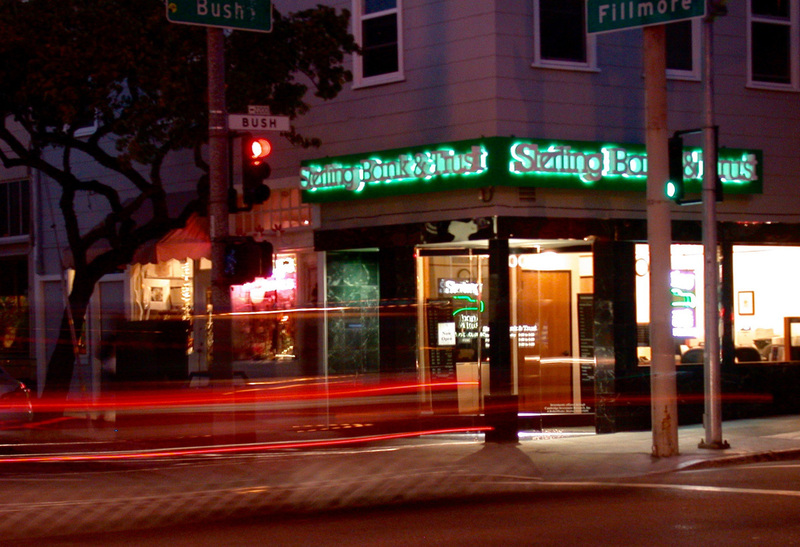 In the summer, thieves smashed the glass front door of Dino and Santino’s restaurant at Fillmore and California and carted off the cash register. The familiar sight of shattered glass in the gutter is hard evidence of a crime that plagues local residents, visitors and shoppers alike. Anyone with a car is a potential target. Smash-and-grab thieves don’t care if it’s a Mini Cooper or a Maserati. 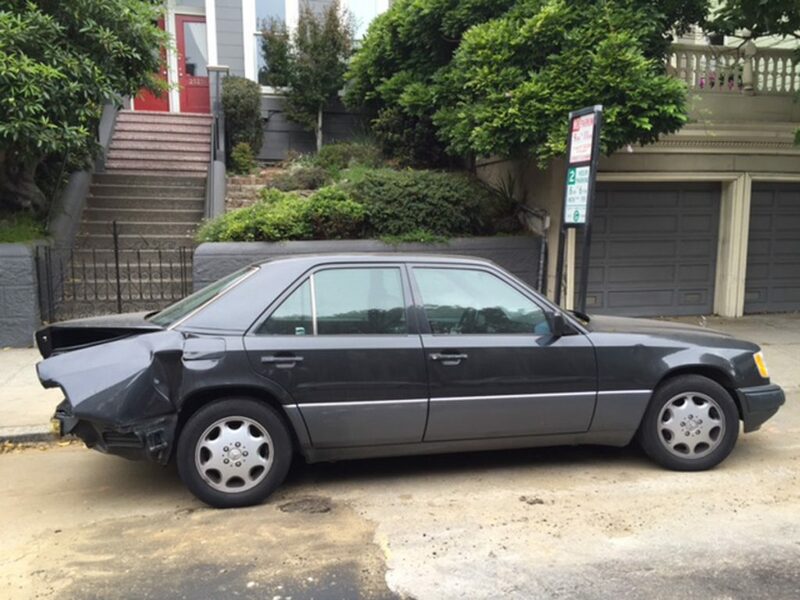 You’d never know it from walking the blocks around Fillmore Street, but according to police statistics, auto burglaries are actually down 7 percent from a year ago in the Northern District, which includes much of the neighborhood. Captain Ann Mannix reels off the local numbers: 1,037 vehicle bust-ins for the first eight months of this year, compared to 1,132 during the same period last year. Citywide, auto break-ins are up 6 percent — including the Park District, which covers most of the neighborhood west of Steiner Street. While the auto burglary figures from the police department may indicate trends, they are not remotely comprehensive, since many — perhaps most — of those who suffer a loss don’t file a police report.